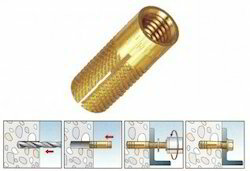 Specialists Brass Concrete Anchors : We shall be pleased to develop Non-Standard Brass Slotted Anchors Brass Concrete Anchors Brass Anchors Fasteners Brass components nuts screws studs fixings wood screws machine screws fasteners as per specific requirements. Finish : Brass natural, Electro-Tinned, Nickel etc. Threads : ISO Metric, BSW, BA, BSF, UNC, UNF UNEF etc. 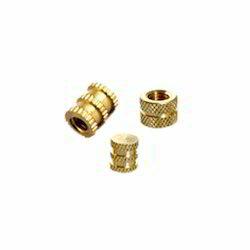 Bestowing upon the expertise of our professionals, we have been able to offer to the customers a wide range of best quality Neutral Brass Component. 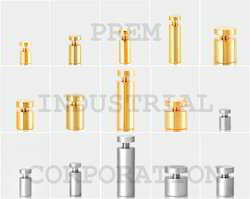 This range has been in wide demand by major industrial clients for the perfect finish and dimensions of it. Made from the best quality brass, the offered range has been availed to the customers in the most comprehensive and industry leading prices. 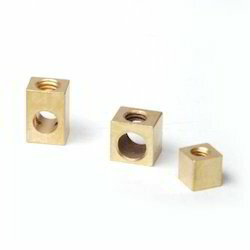 We are offering to our customers a high quality reliable and effective range of best grade commercial usage Brass Ball Catch. The offered range has been made from best quality raw material and has been availed to the customers in the most comprehensive and industry leading prices. We have strictly adhered to the standards of the industry and made sure that our customers get what they need. 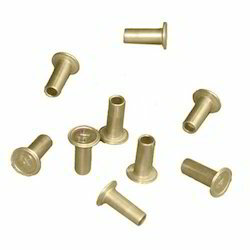 The brass hardware, sign standoffs represent an interesting way to displays your signs. How can your signage be more noticeable? These sign standoffs create a 3D panel that protrudes from the wall, creating a more interesting display to get attention. The standoff wall mounts are typically used by a number of different businesses to great effect. Between the solid construction and eye-catching mounts, this brass hardware makes a great addition to your marketing efforts. 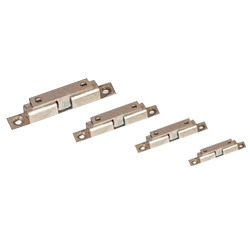 These sign standoffs are made out of solid brass to provide premium quality mounts. The brass hardware is long lasting, and the gold finish on the displays shine brightly to help draw attention to your sign. Standoff supports, standoff wall mounts and other sign standoffs have a flat top to the stand off, a classic style that works well with any location. Creating an interesting sign for patron viewing has never been easier than with this great selection of sign standoffs! How are Sign Standoffs Used at Businesses? Bars & Restaurants can display their company logo in an interesting manner that will surely be eye-catching for customers! The standoff supports feature a through design for use with many different materials. The most commonly used signage styles are wood, acrylic, glass, plastic, and stone for really eye-catching displays. The signs can be of different thicknesses, with each individual product page showing the specific allowable dimensions. Since the standoff wall mounts are through-mounts, they need a hole drilled through your sign for mounting purposes. Again, the hole width varies, so check the product page to see which will be most appropriate for you. These stand offs feature a gold finish that provides a wonderful color that is eye-catching. This color is a classic, adding an air of elegance to any display and denoting to potential customers your businesses' sense of style. The standoff wall mounts are also polished, allowing them to shine and easily draw attention towards your sign, without being too distracting as to be the main focal point!